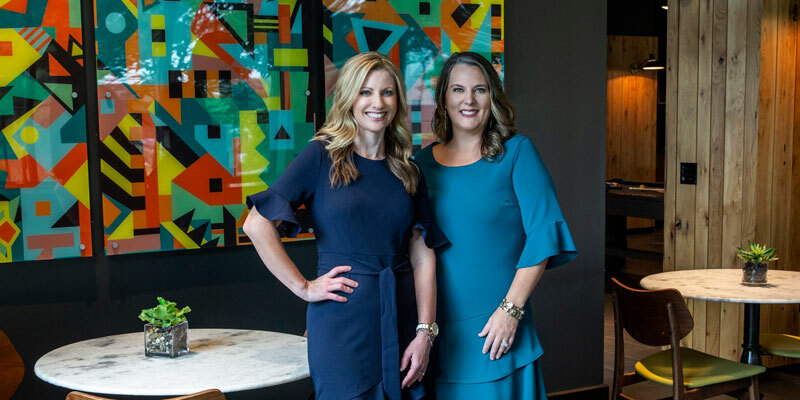 Amy Wilemon and Carrie Powers take a team approach to their work as senior loan originators with Silverton Mortgage. Wilemon focuses on strengthening relationships with agents and clients; and Powers makes sure the transactions run smoothly. “Whether it’s educating the client and matching a loan to their exact needs or running scenarios with them during their home search, we take a personal approach throughout the transaction with clients and agents,” they say. “During the loan process, we send weekly updates to all parties, including the listing agent, so everyone is on the same page.” They also have a five-year marketing plan that follows the client and co-brands the agent to stay in touch. Inspired by the opportunity to help people every day, they say the job is more than securing a loan for someone, it might be giving them credit advice or guidance on real estate investments that will help them in the future. Members of the Mortgage Brokers Association of Georgia, the Cobb Board of Realtors and the Atlanta Board of Realtors, they have earned numerous awards for their business and community service achievements.